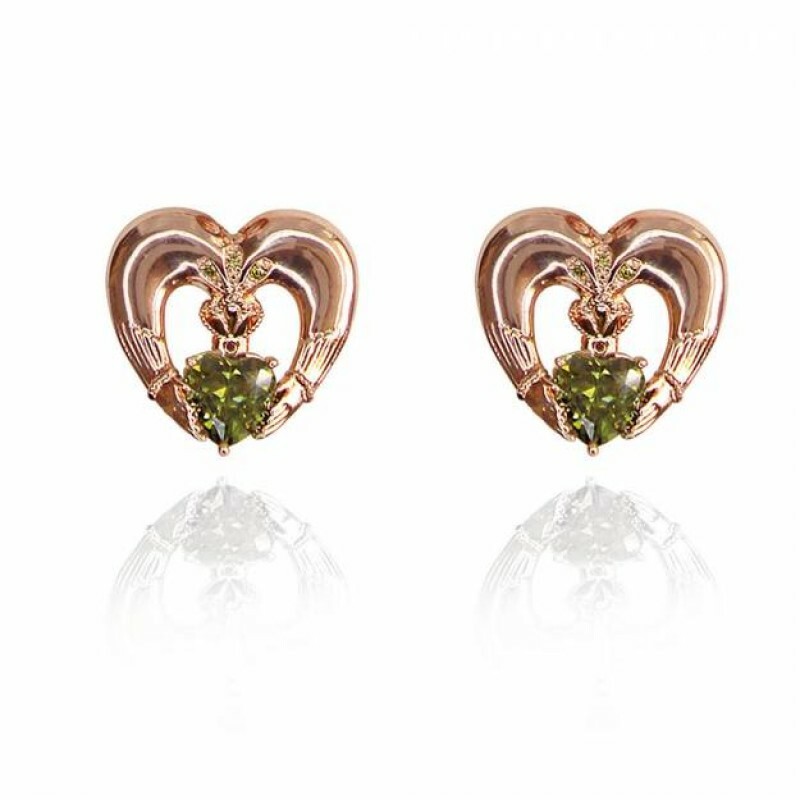 Beautiful Claddagh Stud Earrings which are Rose Gold plated and were designed in collaboration with Maureen O Hara Ireland's most famous Movie Star. 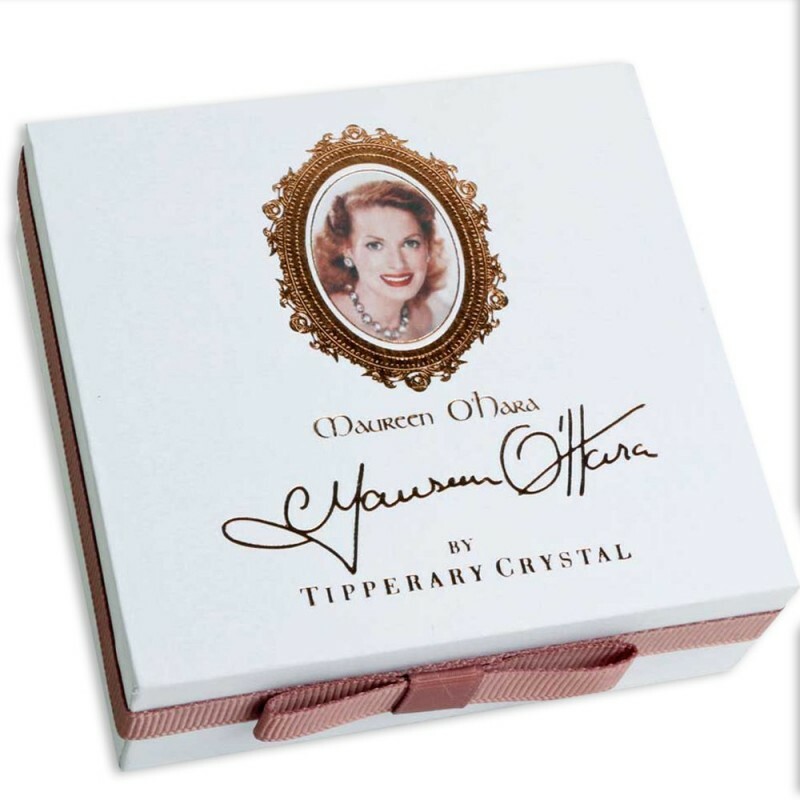 She featured in the film The Quiet Man which was shot in the Galway area - it is an Irish classic that is held in high esteem worldwide. 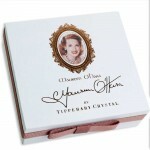 Each piece measures 1.5 cm x 1.5 cm - they are shipped in a smart presentation box with a leaflet about the good lady herself. 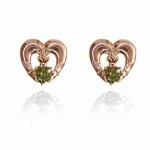 Each piece has a Green CZ Stone which represents Maureen's never failing love for her native country.